PhotoModeler Premium brings the power of Dense Surface Modeling (DSM) to your desktop. Create accurate, high quality 3D models and measurements from photographs by scanning sets of overlapping photos to produce dense point clouds and meshed surfaces. 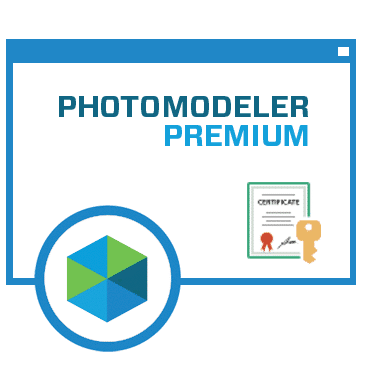 PhotoModeler Premium has all the capabilities of the PhotoModeler Standard product plus the DSM capabilities, Measurement over time, Coded Targets, Geographic coordinates, drone/uav support, and Idealize.